In 1996, Crossroads Music began as a mom & pop musical instrument shop in the quaint seaport Victorian town of Port Townsend in Washington State. A town of only 10,000, people it has become the home to many musicians, luthiers, painters, published writers, world-class orchestra bow makers and many other artists and craftsmen. 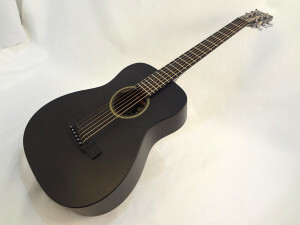 We offer “Quality Musical Instruments for All Levels.” Crossroads Music has become the destination music store on the Olympic Peninsula for North American-made instruments including locally hand-crafted instruments such as guitars, ukuleles, resonator guitars and banjos. We are a full-service musical instrument store. Crossroads Music offers on-site music lessons, expert repairs, quality rental instruments, CD duplication, PA systems and more. We want you to feel that Crossroads Music is your store, too. If you want us to carry a special item that you like to use we will gladly stock it for you. Customers’ suggestions have helped create an excellent selection of books and accessories. If you don’t see what you’re looking for, just ask. We do special orders. Crossroads Music carries a wide array of quality musical instruments for all levels. We strive to find the best musical instruments in terms of tone, playability and function for all price levels. We offer high quality “American-Made” instruments along with quality entry level instruments. If you are planning a visit to our historic town, come by our store during business hours to play our selection of musical instruments. Why Crossroads Music is different than other music stores. We are an independently-owned business offering quality musical instruments and accessories. We are different than other stores because we don’t just ship you a guitar in a box without ever looking at the instrument. We carefully inspect and setup the instrument before we offer it to anyone. We inspect each instrument for tone, craftsmanship, fit and finish, playability and string life. We know that instruments are made of natural wood and are as individual as people are. If an instrument doesn’t meet our standards, we will send it back to the manufacturer for an adjustment or replacement. We will not sell an instrument to anyone if it doesn’t meet our standards, period! Port Townsend’s Musical Instrument Building Roots. Port Townsend is currently home to 7 luthiers (instrument builders) and 5 violin bow makers, but Port Townsend’s musical instrument building roots date back to the late 1800’s. Chris Knutsen, an immigrant from Norway moved to Port Townsend in 1895 and built his prototype “One-Arm” guitar–the harp guitar. One year later, he was granted a patent for the “One-Arm” guitar. You can see one of these vintage harp guitars at Crossroads Music.